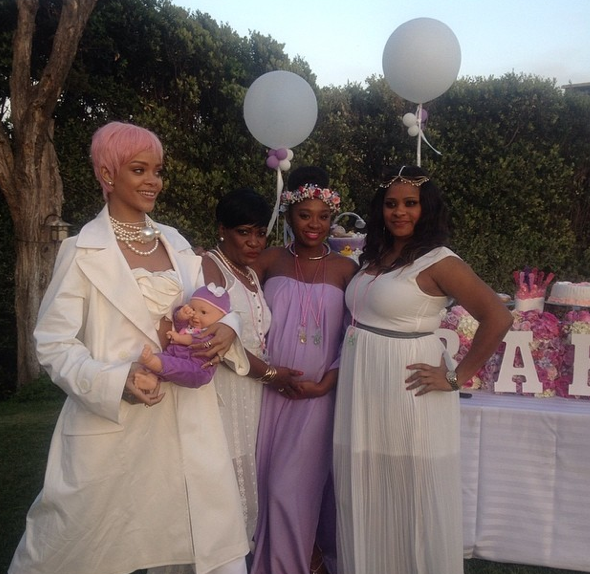 Riri loves the kids, especially if they’re family. 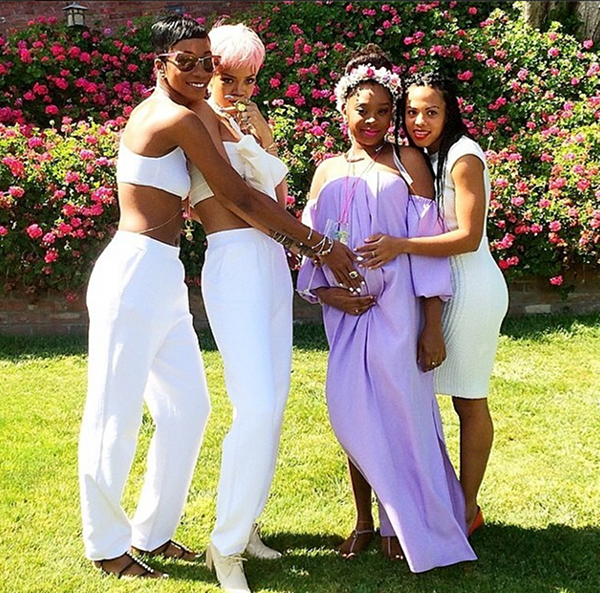 Rihanna spent her Memorial Day in Malibu with family and friends celebrating the impending birth of a new baby. That beauty in the purple dress is her cousin Noella. Bestie, Melissa Forde was also in attendance. 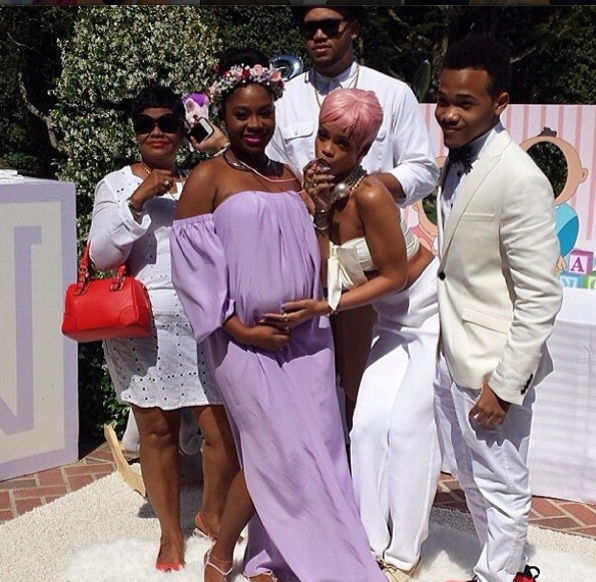 Still sporting her candy-colored hair, the “Talk That Talk” singer was posted up with her mom, Monica Braithwaite, and her brothers Rorrey and Rajad. That’s a good looking crew. 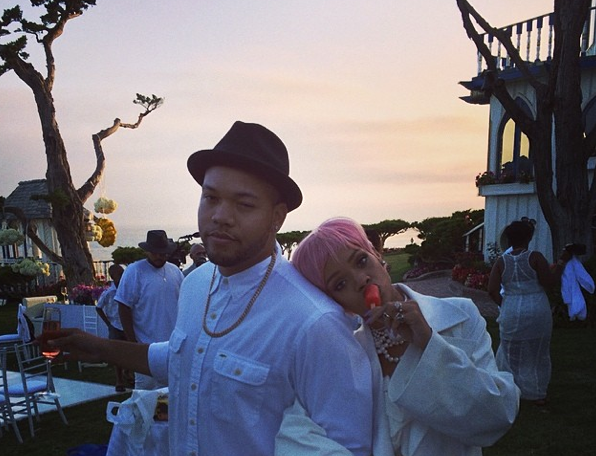 Here she is with Rorrey, enjoying a “red” Popsicle. Bad gal RiRi showed up to the party designer fresh, rocking Chanel, Balenciaga and Adam Selman. I’m a big fan of the necklace she’s wearing, too. 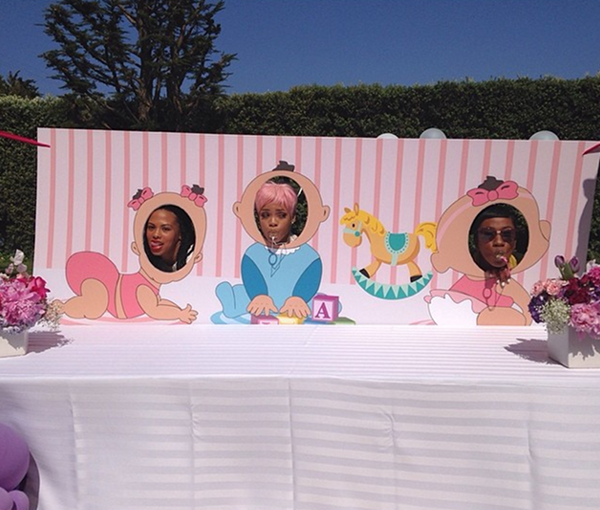 Rihanna had a good time with drinks, laughter and toys. Later on a conga line formed. 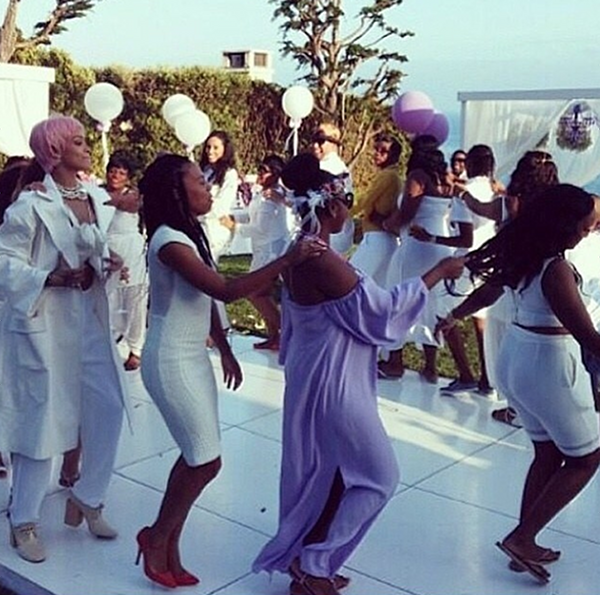 There are no pictures, but you know the Electric Slide happened. It had to. She looks like she was ready to “slide” while doing the conga! There’s nothing like good time with the people you love.